Dedenbear seems to always be ahead of the curve with clever products that end up becoming a "must have" within a few years of their introduction. 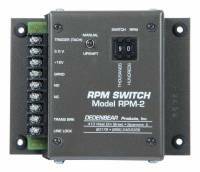 Check out the Recently Listed RPM Switches. PitStopUSA.com offers a variety of Shift Timers / RPM Switches from the biggest brands in drag racing. Check out the Recently Listed Throttle Body Components. 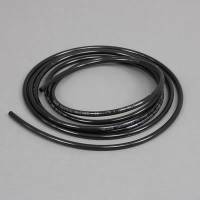 PitStopUSA.com offers a variety of Water Manifolds from the biggest brands in drag racing including Dedenbear Water Manifolds, Meziere Water Manifolds and more at low everyday prices. 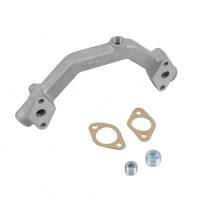 Check out the Recently Listed Water Pump Components. Pit Stop USA is The Online Drag Racing Superstore! Dedenbear Products was started in 1979 by Debra and Dennis Reid as a part time business. Debra has a degree from Chico State University and was responsible for the accounting aspects when the company first started. Dennis has a Bachelors and Masters degree in Mechanical Engineering from the University of California, Berkeley. His employment background was as a design engineer for Fabco Axle Division of Kelsey Hayes Corp., R&D engineer in charge of instrumentation at Transamerica DeLaval Diesel Engines, and Nuclear Weapons Testing instrumentation Senior Engineer for EG&G corporation. In addition to being an engineer in the 1970's, Dennis also raced an NHRA Drag Racing Corvette. During this time, he needed a way to improve the starting line performance of his car and ended up designing a portable timer to measure the starting line acceleration of his car for the first 60 feet of the race track. The timing system was not available and was ahead of it's time as the 60 foot time became a standard measurement and now exists at all drag strips throughout the country. Dennis sold the race car and used the money to fund the start up of Dedenbear Products which initially specialized in manufacturing low cost race track timing systems. These systems filled a niche for racing clubs and small race tracks that did not have the funds to purchase the existing expensive professional systems. While helping a friend whose car consistently red lighted (foul start by leaving the starting line too soon), Dennis came up with the idea of delaying the release of the brakes on the starting line by means of an electronic delay unit. This allowed drivers to leave the starting line more consistently and accurately thus giving them an advantage over their competitors. The device that Dennis invented was called a "Reaction Time Delay" (or in slang terms- a Delay Box), in which he patented not only the hardware but the concept also. Dedenbear Products started manufacturing "Delay Boxes" in the early 1980's and continues to do today. The "Delay Box" became a standard item on virtually all non-professional race cars and Dedenbear Products really took off. Numerous companies copied the products and infringed on the patent in the 1980's resulting in numerous successful patent infringement lawsuits by Dedenbear. 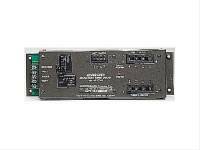 Most companies went out of business and Reid licensed (2) other companies to manufacture Delay Boxes. These companies also exist today but there is a closed market with the existence of only three manufacturers. With increasing sales and employees, the business was converted to a California "C" Corporation in 1986. As each year passed, innovative devices were developed that had not been thought up before. Examples of early trend setting products were multiple delay boxes connected together to give the racer multiple chances of leaving the starting line more precisely. 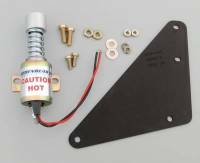 Another whole category involved the development of throttle stops and their electronic controllers. These devices control the power level of the engines and force the car to run at a precise elapsed time on the race track. To make cars more consistent, automated shifters with electronic control boxes cause the transmission to shift at very precise pre-set points. All this equipment pioneered by Dedenbear became standard many years ago and virtually every non professional race car contains these products. One item that constantly plagued racers was overheating of the engines when using factory water pumps. Dedenbear was one of the first, if not the first company to design a brand new water pump that used an electric motor to drive the pump instead of having to use fan belts like a production car. This resulted in cooler, more powerful engines being able to run round after round without overheating. Later developments included much more sophisticated electronic devices (particularly in regards to Delay Boxes) where a microprocessor was added that greatly increased the computation power of the electronic devices. The most recent project is the invention of a throttle stop that is operated by use of a stepper motor. This type of motor is very precise and can make the engine do anything that the racer programs into the electronics. 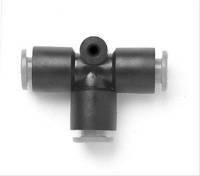 This is another product that will reset the standard for drag race cars again because it is much easier to operate and is infinitely more precise than any existing throttle stops. As is typical, this product has been patented by Dedenbear Products, Inc. and will result in a single supplier to the racing industry (Dedenbear) if so desired by existing management. Areas of strength that have defined the reputation of Dedenbear Products, Inc. have been innovation and quality. There are a number of important patents owned by Dedenbear Products, Inc. that not only attest to the innovativeness of Dedenbear, but also to the limiting of competitors into the market place for cutting edge products. Virtually anyone in the racing industry, whether they are racers, merchandisers, or media will universally agree that Dedenbear seems to always be ahead of the curve with clever products that end up becoming a "must have" within a few years of their introduction. 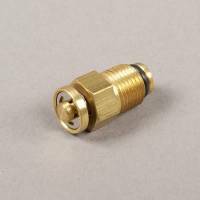 The second strength is that of manufacturing exceptionally well designed and reliable products. Extensive testing is done on designs before products are released and stringent manufacturing procedures are in place to insure that all products are well made no matter how long they are in production. 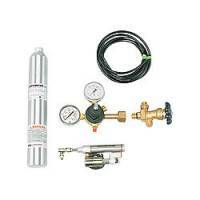 This involves making dedicated checking equipment or automated testers when required. All manufacturing is done in the United States to insure constant monitoring of production techniques. The best measure of quality is to continually check with the large Mail Order Warehouse Companies that keep detailed records of returned products. For decades, Dedenbear Products, Inc. has consistently been at the top of the list for the least amount of returned failed products. This is particularly noteworthy because electronic products tend to be returned more often than mechanical products because there is much more that can go wrong, especially when considering customer misuse, yet Dedenbear products are still at the top of the list. From talking to former distributors and racers, it appears that AutoMeter Products has done a great job of continuing the standards and traditions that were put in place since the inception of Dedenbear and the company continues to enjoy a excellent reputation. PitStopUSA.com features Dedenbear products at low everyday prices.